Brazilian TV had obtained video of the terrifying moment of the collapse dam which recently happened, killing hundreds of people around the Brazilian dam. The video showed a car, heavy equipment and people scrambling unsuccessfully to escape the dark red sludge. With 115 people confirmed dead and atleast 248 are missing after a tailings dam collapse in the town of Brumadinho. The deadly incident sparks public outrage against the company Vale - a co-owner of Samarco, the dam that collapsed. 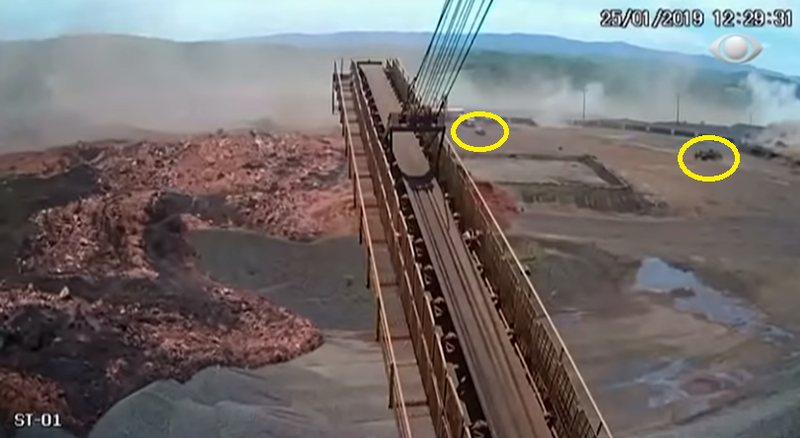 The January 25 dam failure is one of the deadliest mining accidents in Brazil's history.